In case you're wondering, it isn't easy to make a fish soup look appetizing in photographs. 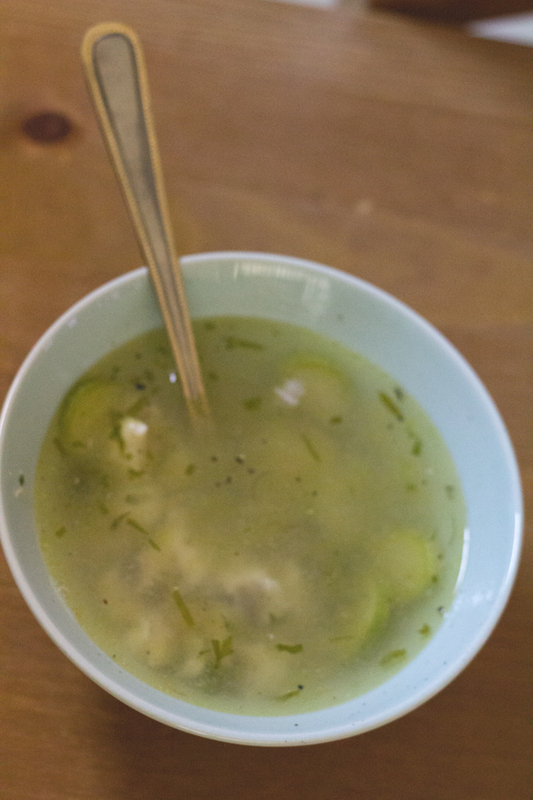 However, this soup tastes so good that I'm going against my better judgment and sharing the pictures with you anyway. Truth be told, I've always been too intimidated to do anything with fish besides bake it. Unless it's salmon, I never know when it's fully cooked, and after too many failed attempts with cod, I decided it's just easier to stick with chicken or some other meat. But I'm still in Dubai with my friend, who comes from a large Italian family that is really into seafood. I spent Thanksgiving with her family once and they had calamari, mussels, squid, and more fish than I'd ever seen on a dining room table. She's doing the GAPS diet as a detox while I'm visiting and was leafing through the GAPS book the other day. She stumbled upon the section that talks about how beneficial and healing homemade bone broths and fish broths are and suggested we make a fish soup. I had wanted to make one for a while because chicken soup and other bone broths get boring pretty quickly, but I didn't know where to start. I knew that if anyone could guide me, it'd be her, and I'm pleased to report it came out so good, that we each had three bowls last night. NOTE: When you go to the store to get the fish, just tell the fishmonger to give you the fish meat in one bag and the bones and head in the other. Put the bones and heads in a pot with water and apple cider vinegar. Bring to a boil then reduce to simmer for two to two and a half hours. Then, use a strainer to catch the bones and heads and pour the broth into a large bowl. Discard the bones and make sure there are no other small bones left in the pot before transferring the broth back to the pot. Then, bring to a boil and add the fish meat (chopped). Boil for 5 minutes then reduce to medium heat and cook for 25 minutes. Add zucchini, parsley, dill, onion and garlic and cook for 15 more minutes. Serve with salt and pepper.